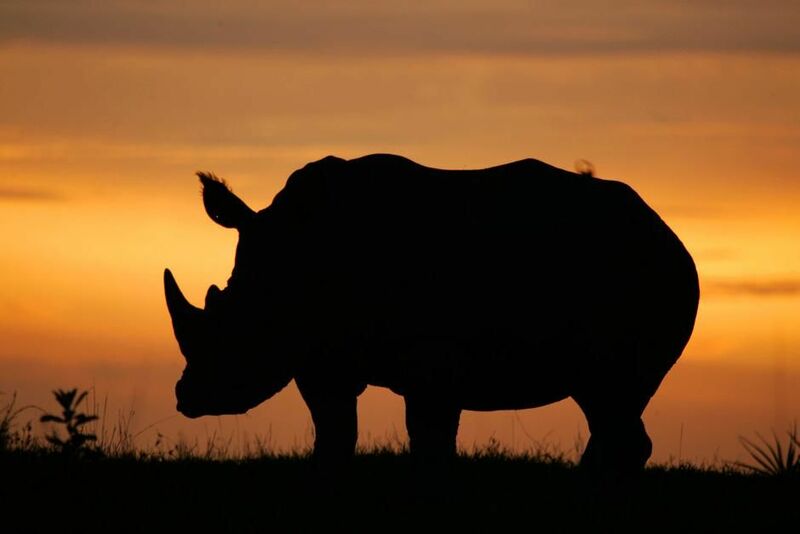 A white rhino's silhouette in the Okavango Delta in Botswana, South Africa at dusk. This image is from Return of The Rhino. The Pacific ocean collides with the Rocky Mountains to make for some of the world's best back country heliskiing. 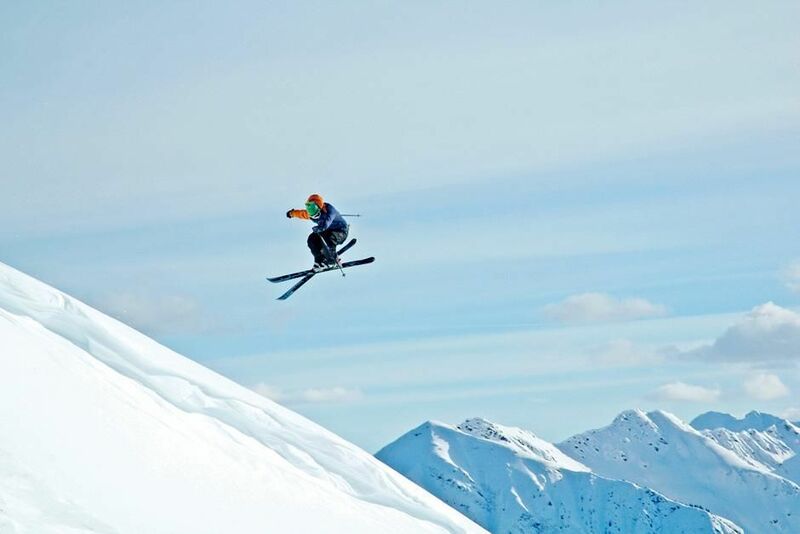 In order to get rides like this, skiers rely on the machines of man to get them there. This image is from Destination Extreme. 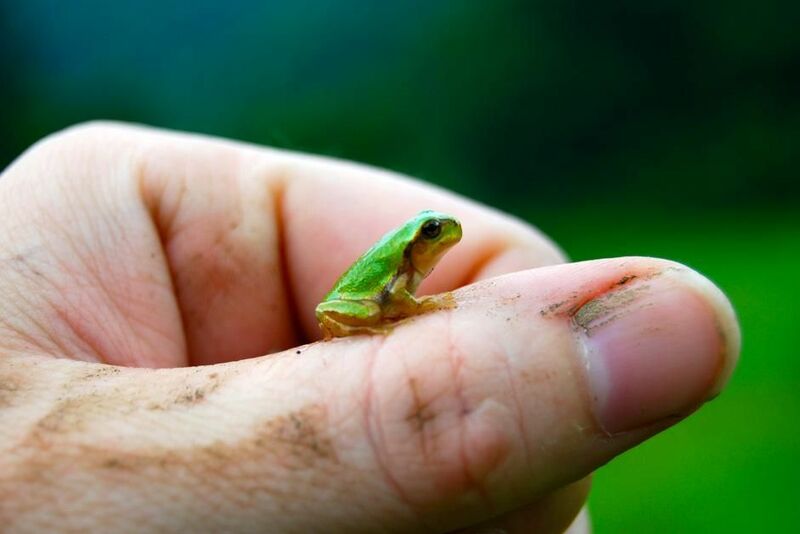 A tiny frog rests on a hand. This image is from Dangerous Encounters. 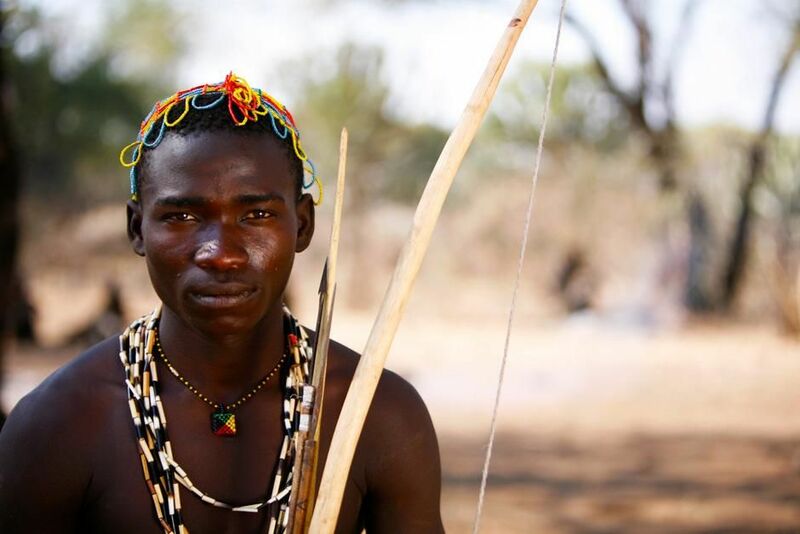 The Hadzabe are one of the last groups of hunter-gatherers on Earth. 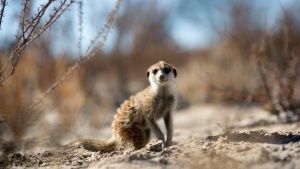 Their population lives about 1500 miles north of the San near Tanzania's Serengeti and represents one of the first branches in the human family tree. 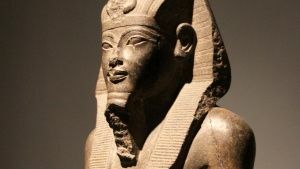 They split from the founding population (the San) around 150,000 years ago. This image is from The Human Family Tree. The wolverine is a stocky and muscular carnivore, more closely resembling a small bear than other mustelids. 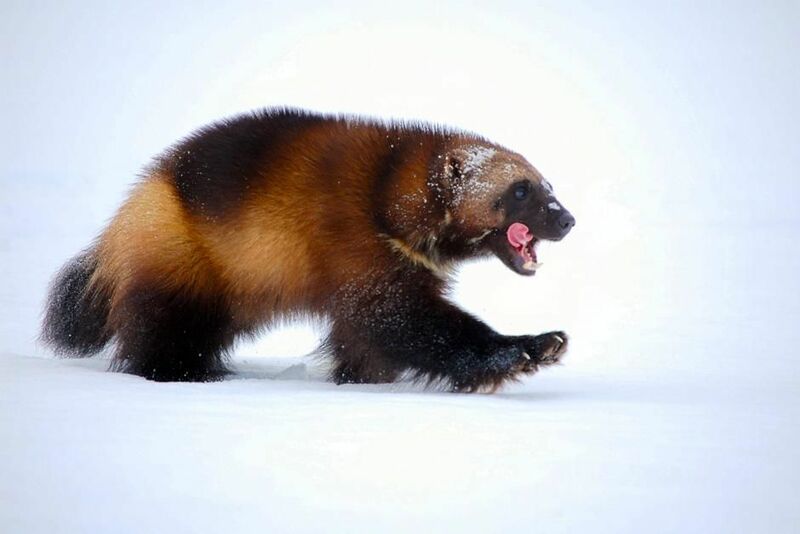 The wolverine has a reputation for ferocity and strength out of proportion to its size, with the documented ability to kill prey many times its size. This image is from Phantom Wolverine. 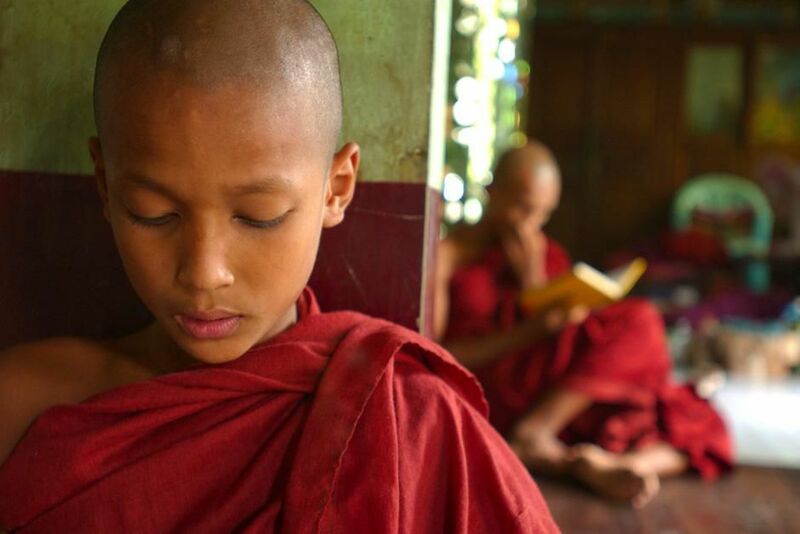 Young Buddhist monk chanting. This image is from Laya Project. 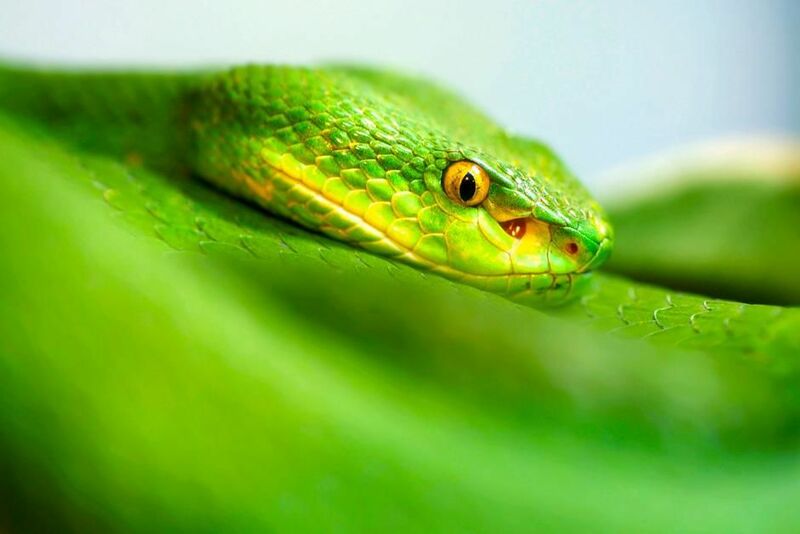 A white lipped green pit viper's face caught in focus around its body. 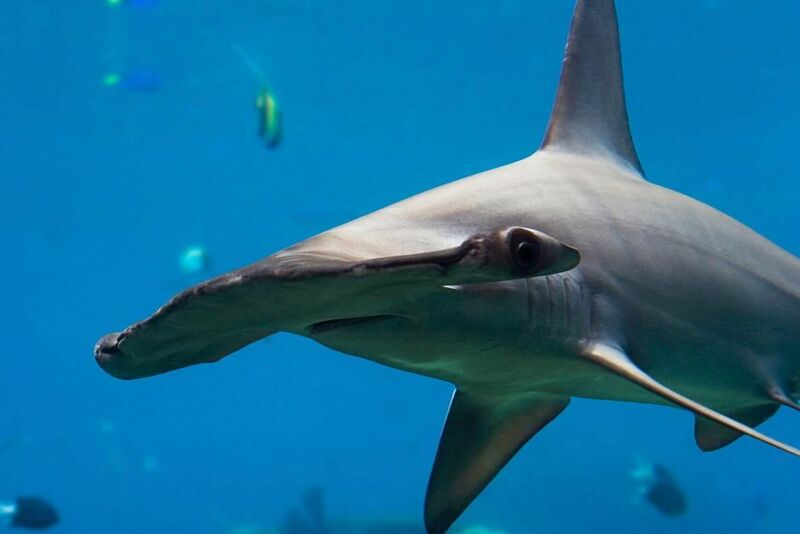 Their forked tongue flicks molecules of scent into something called the "Jacobson's organ" which on the roof of the mouth and alerts the brain that a potential meal is in the vicinity. This image is from World's Deadliest Snakes. 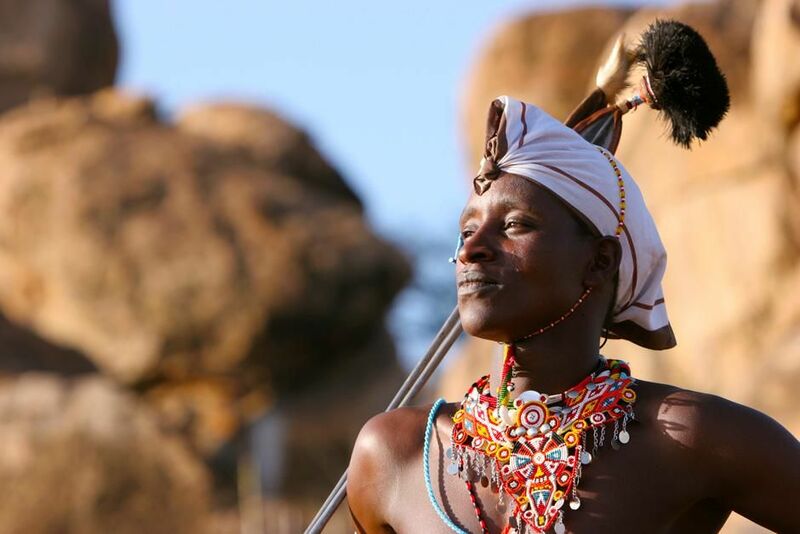 Kenya: Boni, a Maasai warrior. This image is from Warrior Road Trip. 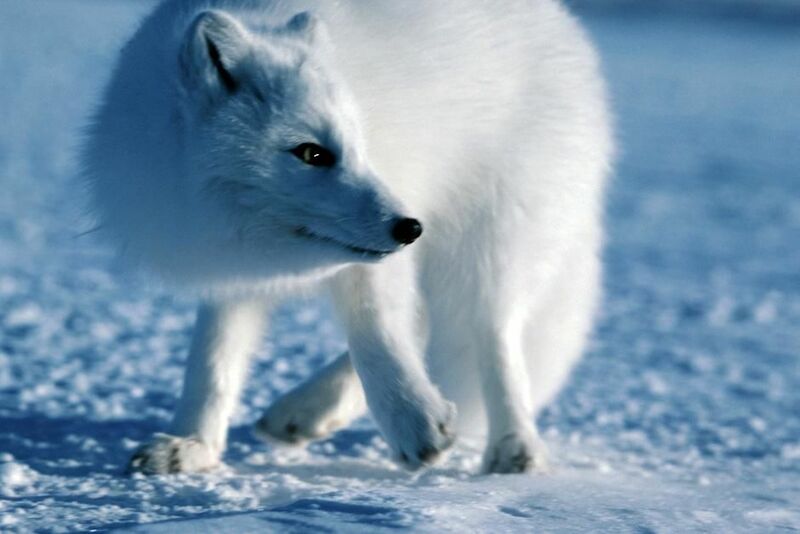 A polar fox in the snow. This image is from Planet Carnivore. 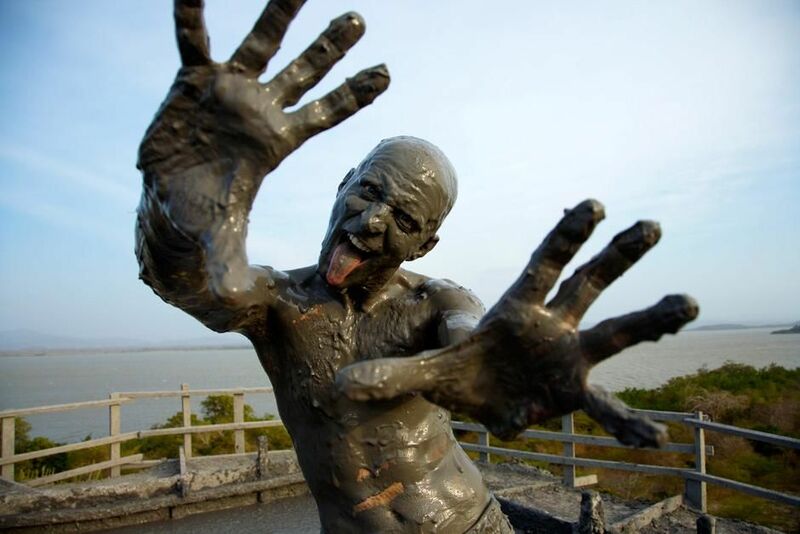 Photojournalist Dominic Bonuccelli at Vulcan Totumo, a volcano full of mud. The legend has it that this was the work of the devil, and a local priest would come and sprinkle a little bit of holy water in the volcano every day until eventually he drowned the devil, and he turned the lava into mud. Supposedly the minerals in the mud can perform miracles on your skin and on your soul. 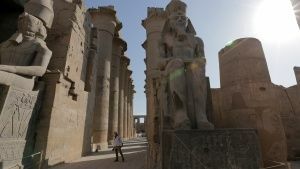 This image is from Lonely Planet: Roads Less Travelled. 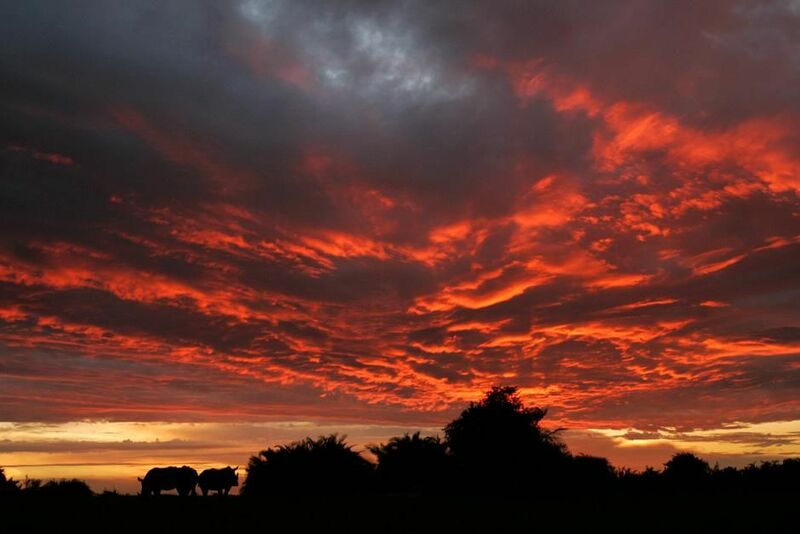 Two white rhinos (left) silhouetted in the Okavango Delta in Botswana, South Africa at dusk. This image is from Return of The Rhino. 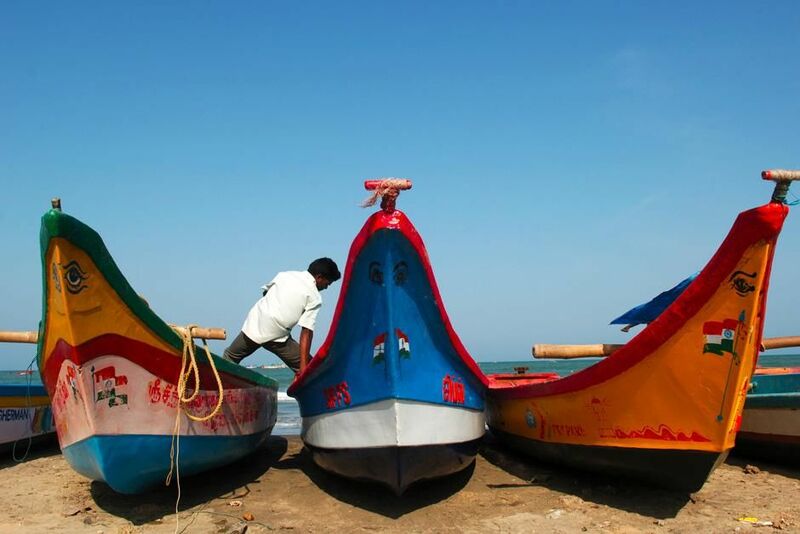 Painted boats in Tharangambadi, Tamilnadu, India . This image is from Laya Project. 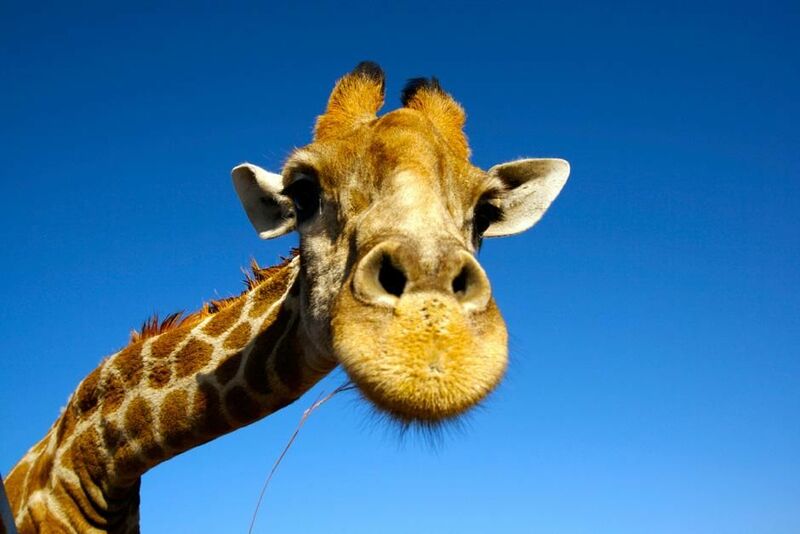 A giraffe looks into the camera at the Singita game reserve in South Africa. This image is from The Pack. 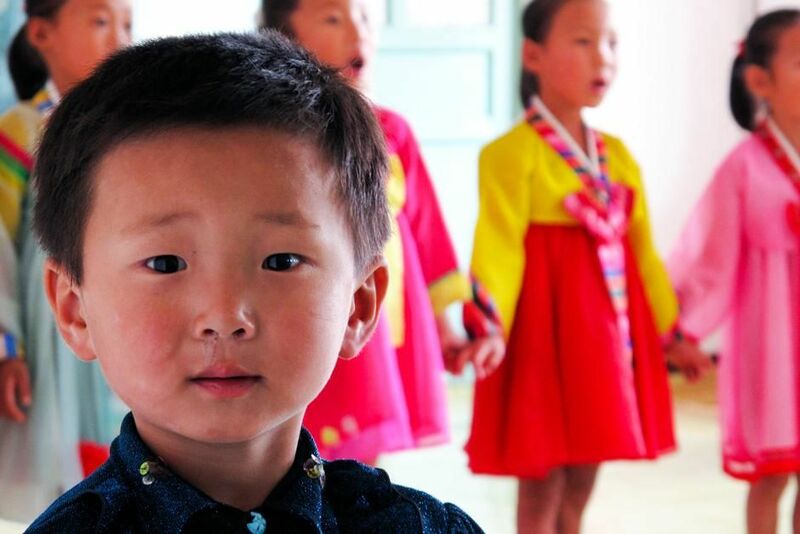 A young boy and his female classmates perform a song at their kindergarten class, located in the farmlands of North Korea. This image is from Departures 3. 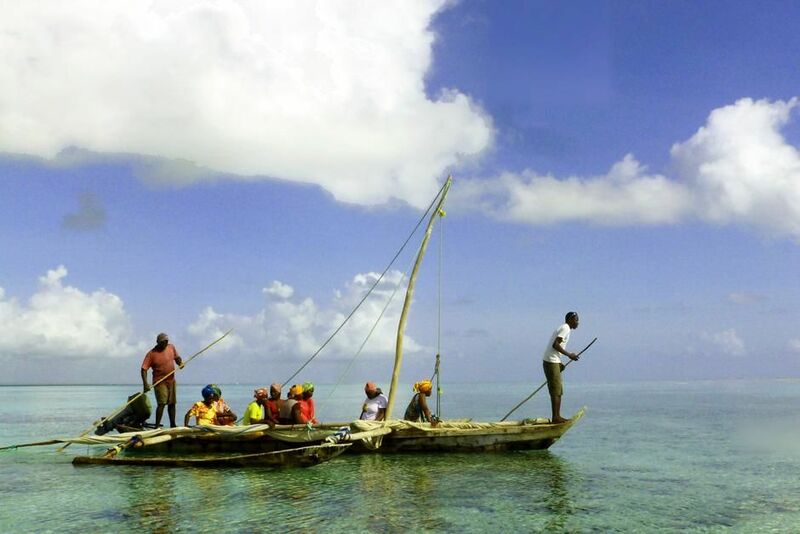 Michamvi octopus fishing folk. 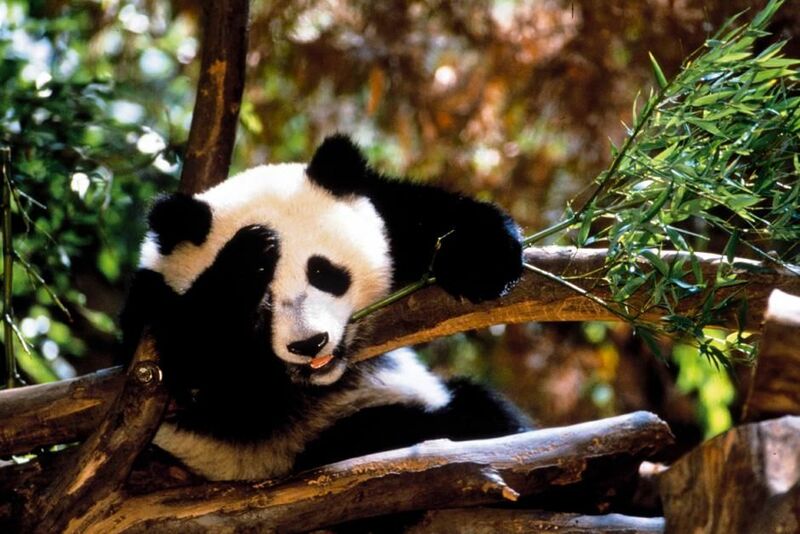 This image is from Planet Food. 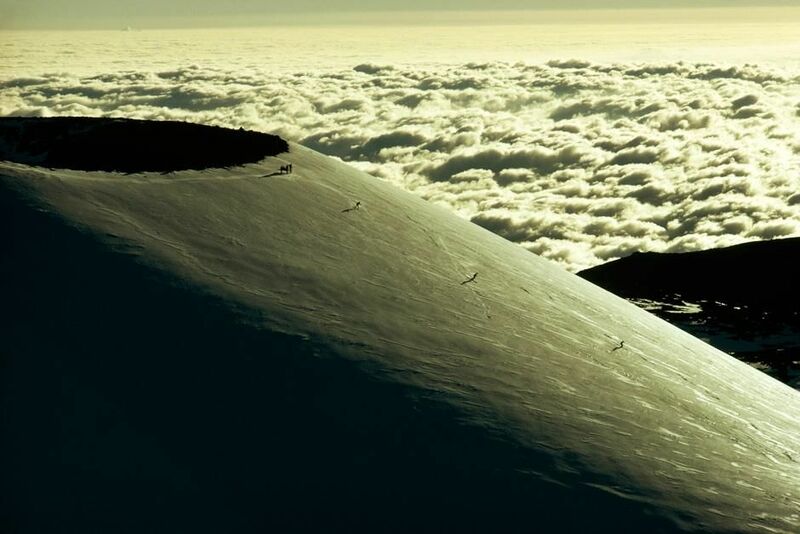 Dormant volcano Mauna Kea is now snowy expanse for skiers to explore. This image is from Nat Geo's Most Amazing Photos. 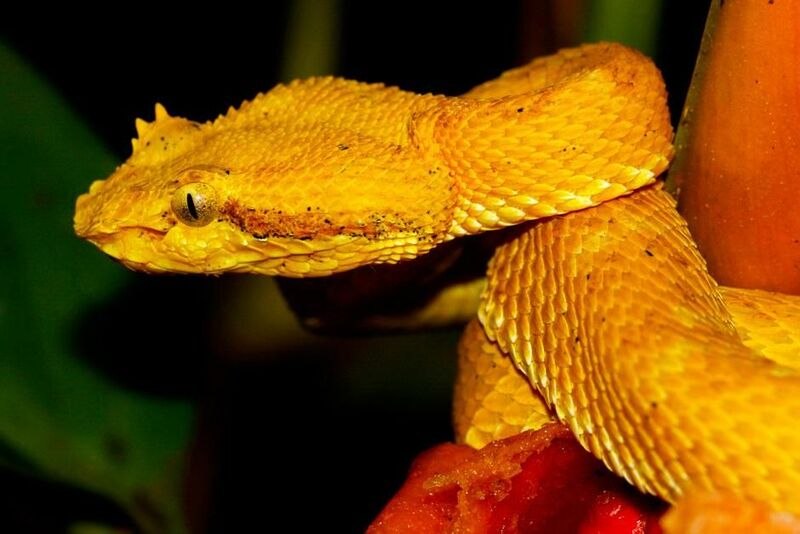 Golden eyelash viper poised to strike. 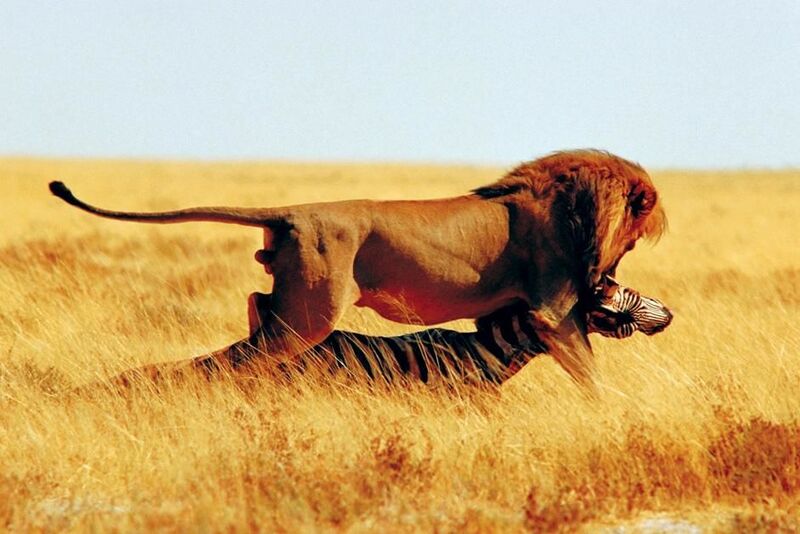 This image is from World's Deadliest Animals. 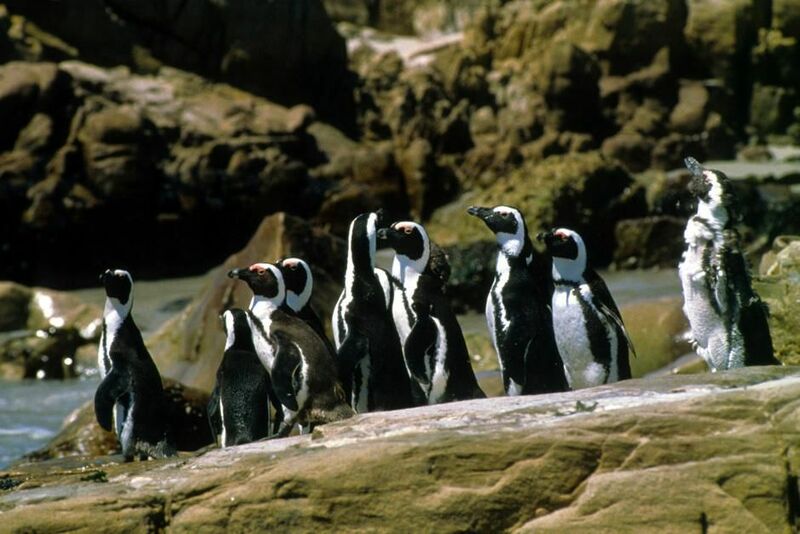 Jackass penguins on the Cape coast, South Africa. This image is from Fit for the Wild. 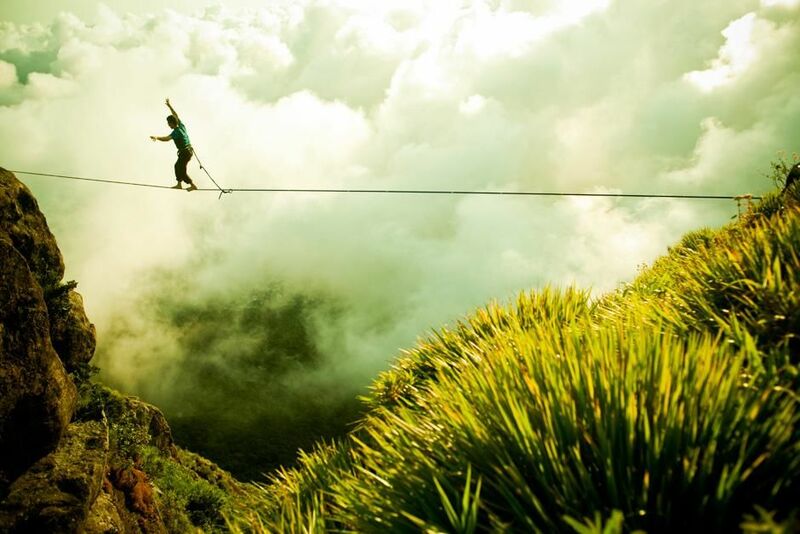 Climber Cedar Wright walks the highline above Rio de Janeiro, Brazil. This image is from First Ascent. 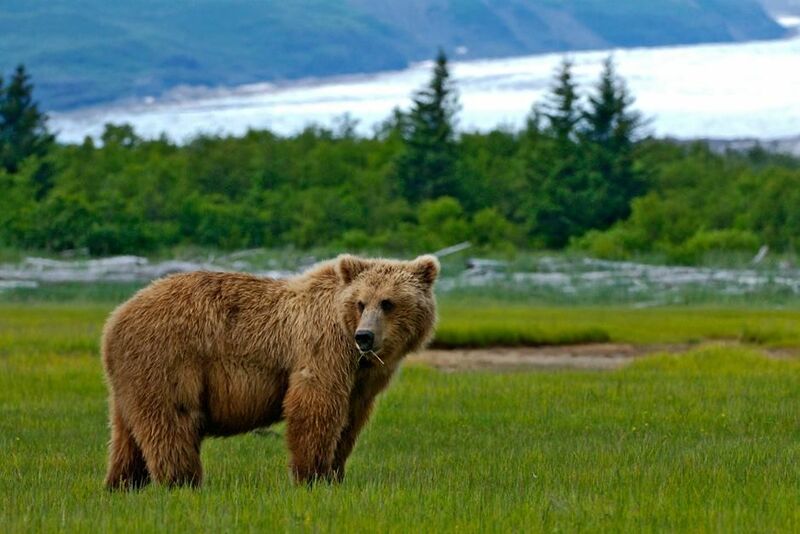 Bear stands with Hallo Bay glacier in background. This image is from Planet Carnivore. A lion attacks a zebra. This image is from Planet Carnivore. 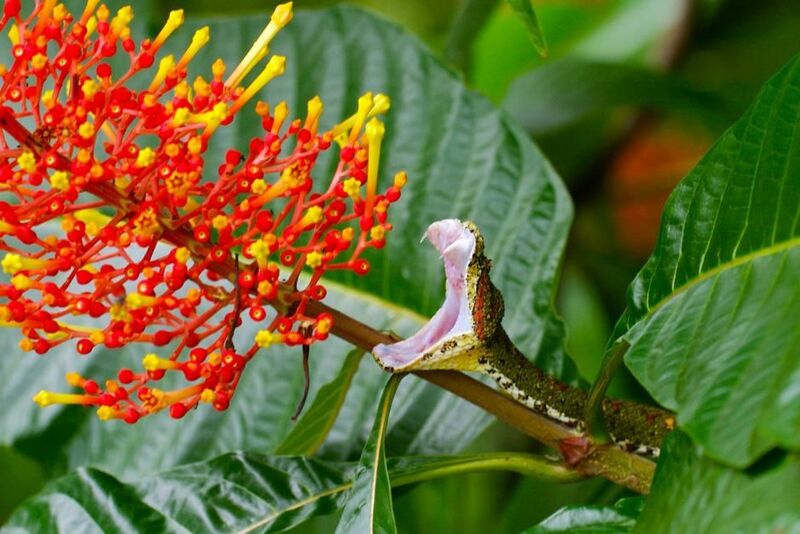 An eyelash viper strikes. This image is from World's Deadliest Animals. 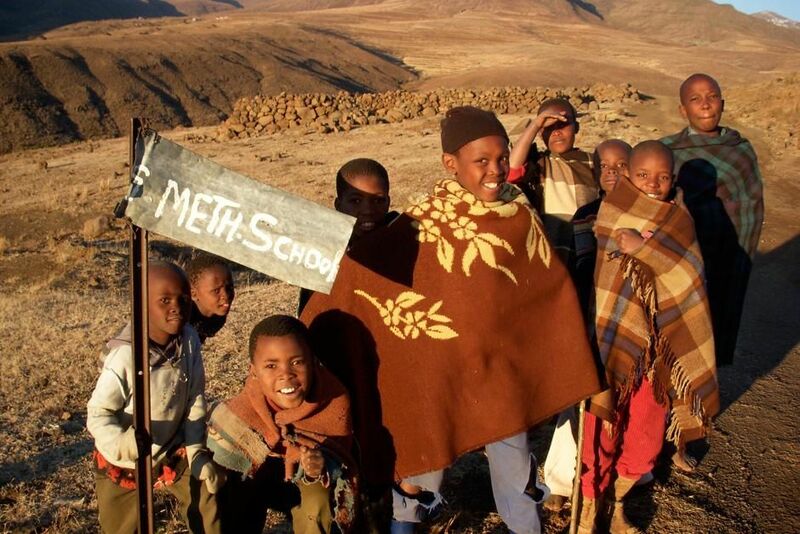 Young Basotho children in Africa gather around a sign for their school. This image is from Perilous Journeys. 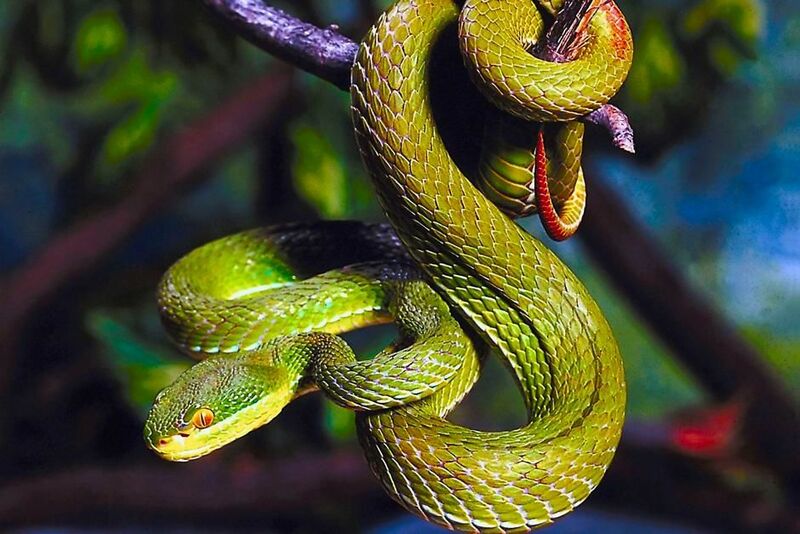 Green pit viper perched in a characteristic S-shape ready to strike. This image is from World's Deadliest Animals. 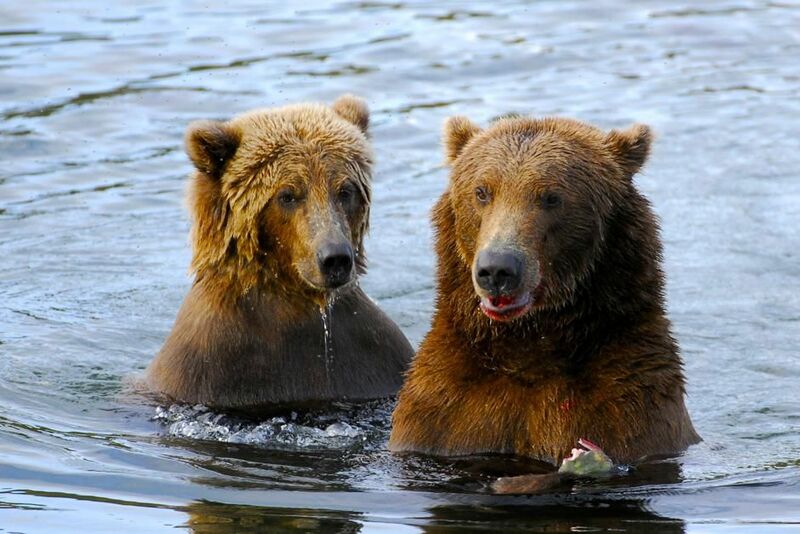 A mother bear with her cub dine side by side in Brooks River, Alaska. This image is from Planet Carnivore. 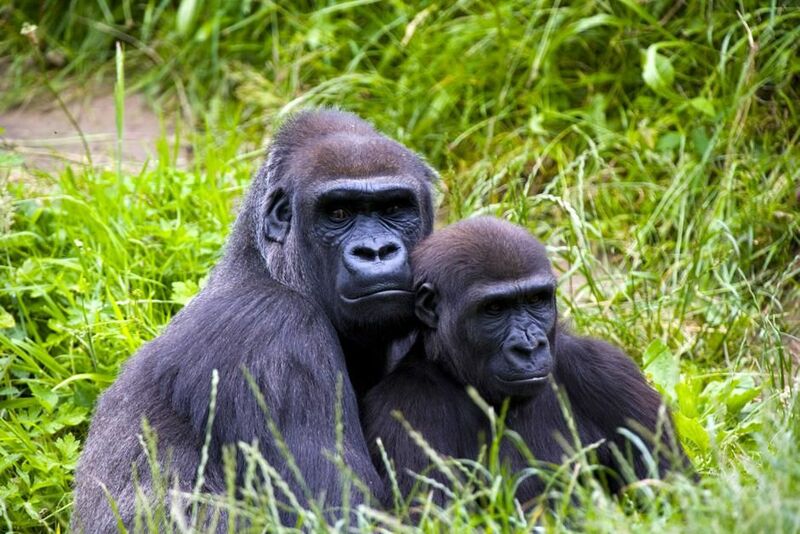 A mother gorilla and her infant sitting in the long grass. Conflicts in weaning between mother and offspring is minimized as the young has many play partners. This image is from An Animal Saved My Life. 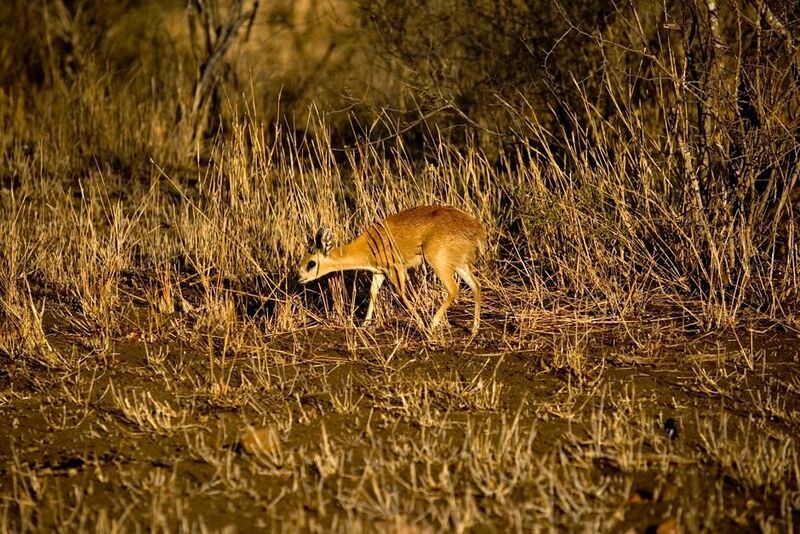 Grys buck at Singita Kruger National Park in South Africa on National Geographic Wild. This image is from Safari Live. 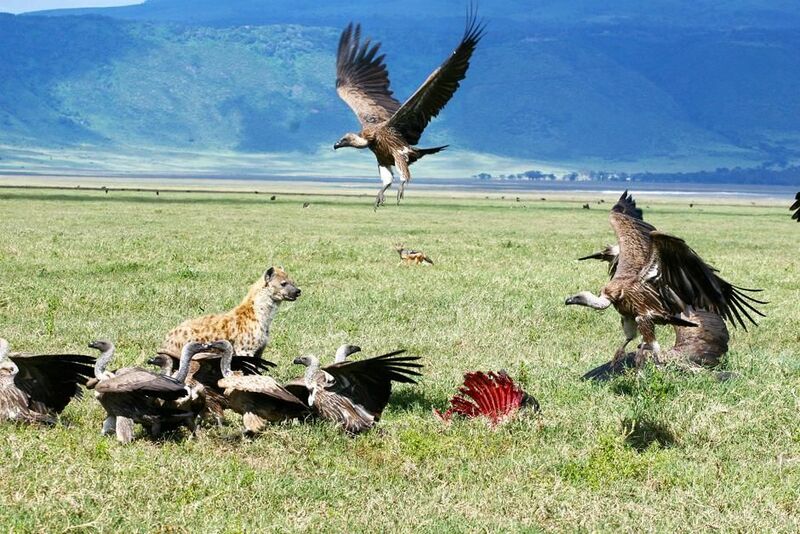 Vultures and hyenas feeding on a carcass. This image is from Planet Carnivore.